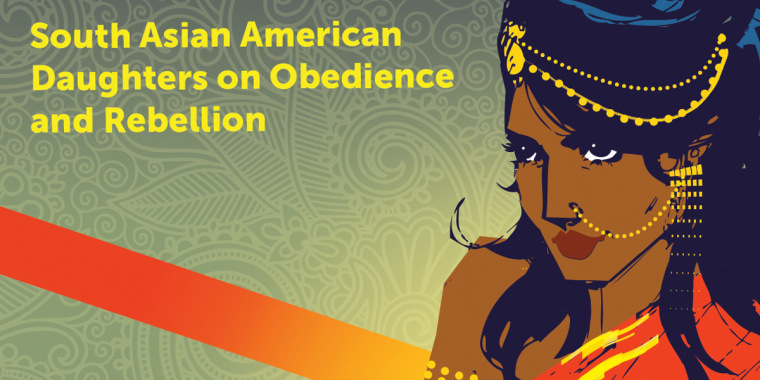 Piyali Bhattacharya can distinctly remember a conversation one evening in the fall of 2008, with several Asian women friends, where the words “obedience” and “rebellion” kept coming up as they discussed their family experiences. Bhattacharya had been in London attending graduate school, and went home later that night to email some of her South Asian friends back home in America about the topic. The response: passionate reactions about the burden of expectations placed on South Asian American daughters. “I want other South Asian American daughters to feel understood when they read our stories. I want them to feel like they are not alone." Bhattacharya added that she wanted to give many South Asian American women the opportunity to be heard and share their experiences. “That can only happen when a diverse array of women are all speaking their truths at the same time,” she said. In collecting stories for “Good Girls Marry Doctors,” Bhattacharya said she was motivated by her own desire to tell her personal story as the daughter of Indian parents who had immigrated to the New York area in the 1980s. Now, like her parents before her, Bhattacharya, who received her MFA in Creative Writing from the University of Wisconsin earlier this year, has also built a community center – this one, for South Asian American daughters, and its bricks are their stories. But Bhattacharya notes that her parents’ expectations, though lofty, were always tempered with love. “Like most South Asian American daughters, I’ve had moments where I’ve had to have some intensely difficult conversations with my parents, but I think it might have been the very clear expectation that we will never stop loving each other that has kept us fairly closely bonded,” she said. These dual familial forces of love and expectation, along with her own self-expectations, are what propelled Bhattacharya towards her own path as a writer — and through publishing her story, as well as the other stories in “Good Girls Marry Doctors,” she experienced firsthand the challenges of undertaking such an arduous task. Throughout the eight year-long process, from conceptualizing to compiling “Good Girls Marry Doctors,” Bhattacharya said she remained inspired by and focused on her broader goal for the project: to build community. "Good Girls Marry Doctors" is scheduled to be officially released on September 6, and includes the launch of a companion website where readers will have the opportunity to submit their own essays and participate in a discussion forum. “My hope is that the camaraderie I have already felt from the women who have come on this journey with me will extend to all of those who decide to participate in the project,” Bhattacharya said. She added, “I want other South Asian American daughters to feel understood when they read our stories. I want them to feel like they are not alone."